Premium Skid Pan Driving Experiences – Skid Control Courses save Lives! Learning life saving driving skills can improve driver confidence in all conditions. No matter how good we think we are as drivers, heavy rain, ice and snow reduce traction, manoeuvrability and visibility making it easy for any car to skid. 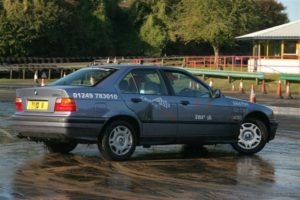 This Skid Pan Driving experience course has all the defensive driving techniques of the standard Skid Course and so much more! Loads more driving time to put you in control! Make Perfect Presents for any occasion sent out 1st class post on day of purchase (if before 2pm). All vouchers are open dated and valid for 18 months, sent in presentation brochure. Castle Combe Circuit, Wiltshire. 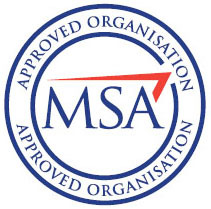 Approx 7 miles from both Junction 17 (Chippenham) & Junction 18 (Bath) of the M4. Thank you for a great morning last Saturday. You both made it very interesting and informative. And of course always great fun sliding around in cars! I’m still cross with myself for having forgotten vision ( car goes where you look ), hope not to forget again! Also clutch control was very useful advice. Thank you again for a great day, and the icing on the cake, my trophy which now sits proudly on my desk. What a great morning with Dave and err Dave 2. Well organised, teaching you how everybody should be when we hit ice, snow or oil on the road. 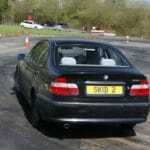 Learnt many things on how to drive safely and most of all it was great fun and 3 hours went so quickly. Highly recommended. I am writing on behalf of our team today to thank you and Craig so much for such an enjoyable morning. I know we all learned a great deal (even if I couldn’t find the garage in the challenge at the end!). My contestants really enjoyed themselves and greatly appreciated the extra time we had on the “Pan”.